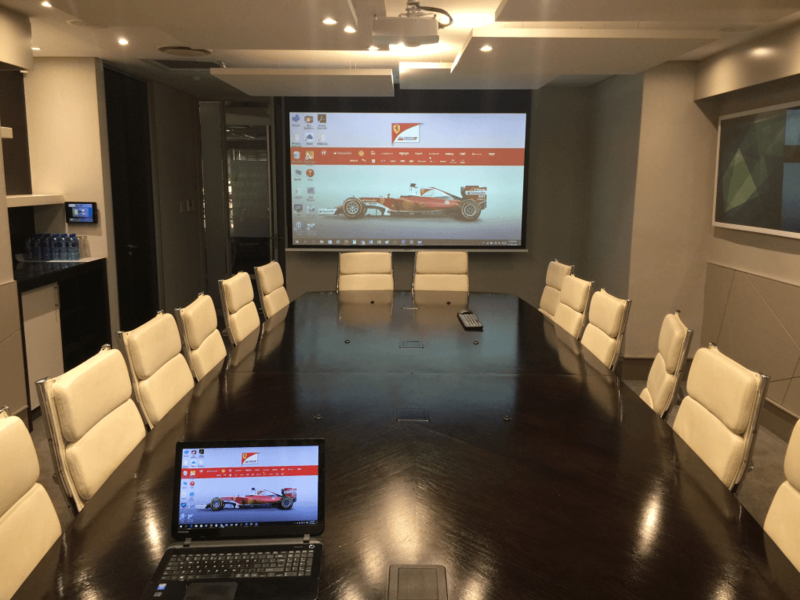 Fully automated boardroom, with Video Conference, Skype for business conferencing, Lighting control, Switching and source selection control, audio conferencing capabilities, mix minus system for voice lift and an iPad as a control system interface. A PTZ Optics 12x zoom camera replaced the original Lifesize Video Conference camera to serve a dual purpose. 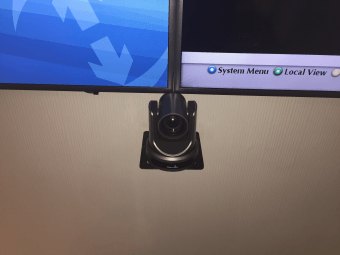 The HDMI output of the camera feed the Video conference system via a matrix switch, and the USB video out of the camera feeds a PC which is used for Skype for business conferencing. A Tesira Forte VI audio processor is handles all the audio aspects, Voice lift mix-minus system, mixes and processes audio from Beyerdynamic BM32B table microphones for Video Conference, Telephone conferencing, Program audio. The unique USB audio interface of the Tesira forte VI handles the audio for LYNC/Skype for business conferencing via the PC. Extron IPCP Pro 350 and IPL Pro S3 processors are used as primary and secondary controllers to provide sufficient control ports for all the device. 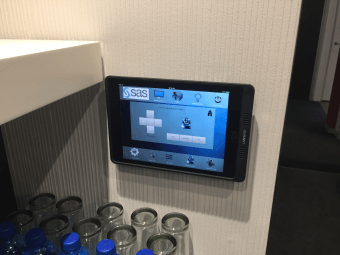 An iPad is used as a control interface. Launch port sleeve and wall mount docking station is used to store and charge the iPad inductively when not in use. 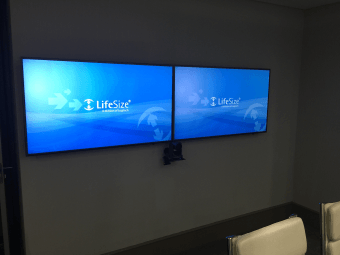 2 x Samsung 55” displays for conferencing.